Russia is ready for contact with the Free Syrian Army, but it is now a 'phantom,' Russian Foreign Minister Sergey Lavrov has said at a news conference following talks with his Laos counterpart in Moscow. "They tell us about the Free Syrian Army, but where is it? It remains a phantom group, nothing is known about it," Lavrov said, adding that Russia has sent a request about the group to the United States. "We will be ready to establish contact with it if it’s really a capable military group of patriotic opposition consisting of Syrians. We do not hide this fact. But this structure is already a phantom. I have asked [State Secretary] John Kerry to provide us with information about the whereabouts of this Free Syrian Army and who commands it," said Lavrov. "So far no one has told us where and how this Free Syrian Army operates or where and how other units of the so-called moderate opposition operate." The minister also said that Moscow has asked the United States for details on the army. Russia’s top diplomat also said he knows of no US intentions to undermine Moscow's efforts in Syria. “I haven’t heard about the plans to undermine our work in Syria from the US side or from anyone else,” Lavrov said at the news conference. He added that Russia had established contacts with the US on the Syrian situation at presidential level, as well as at defense and foreign minister levels. 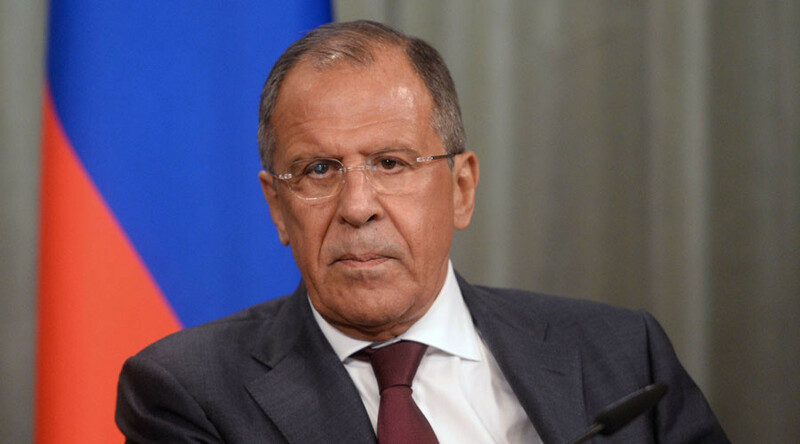 Sergey Lavrov also warned of any attempts to topple Syrian President Assad. “The overthrow of the ruling regime in Damascus would be a most violent breach of the UN Security Council resolution, which approved the Geneva communiqué of June 30, 2012. This communiqué sets out only peaceful political and diplomatic means to solve the Syrian crisis,” he said. “That’s why recent calls from several capitals for the conflict to be solved militarily are a breach of international law,” the Russian foreign minister added.